A prisoner, who attempted to escape from the Timehri Prison, was Friday afternoon shot dead, in what appears to be growing intolerance of prisoners who attempt to flee lawful custody. Director of Prisons Gladwin Samuels said Winston Hinds, 26, who was on remand for murder attempted to escape from the penal facility while prisoners were involved in a serious physical altercation and assault in which they were using improvised weapons. 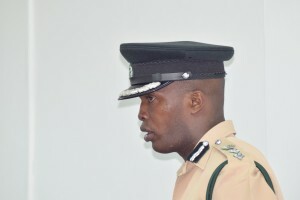 In a statement issued through government’s Department of Information, Samuels reportedly said prison officers attempted to restore order by breaking up the violent fracas but Hinds fled into the prison yard in an apparent bid to escape. “Clear and repeated orders were issued for Hinds to desist but he refused in every instance and continued running. Prison officers were left with no option than to curtail his escape bid. This necessitated the use of live rounds as a last resort after every other option had failed. Hinds was struck on the body by a single round and was immediately taken to the East Bank Demerara Hospital Complex at Diamond where he was pronounced dead on arrival,” according to the statement. His next of kin was immediately informed and the police are conducting an investigation. The Guyana Prison Service says it deeply regrets the loss of Mr. Hinds’ life and extends deepest condolences to his family, relatives and friends. The Prison Service used the opportunity to appeal to inmates to desist from attempting to escape. “The GPS will also reiterate its internal calls to all prisoners to conduct themselves responsibly, to resist any temptation to escape from lawful custody, to obey the instructions of prison officers at all times and to serve their sentences as mandated by the courts until such time as they are eligible for release,” the service said. Last month, the security forces shot and injured 16 prisoners at the Lusignan holding facility located near the main prison building after authorities there had suspected that those inmates had been planning to escape. Since 13 prisoners burrowed out of the Lusignan Prison’s swampy holding facility last month, the security forces appeared to have become intolerant of any attempt to escape from lawful custody. Four prisoners, including two considered to be very dangerous, are yet to be recaptured.